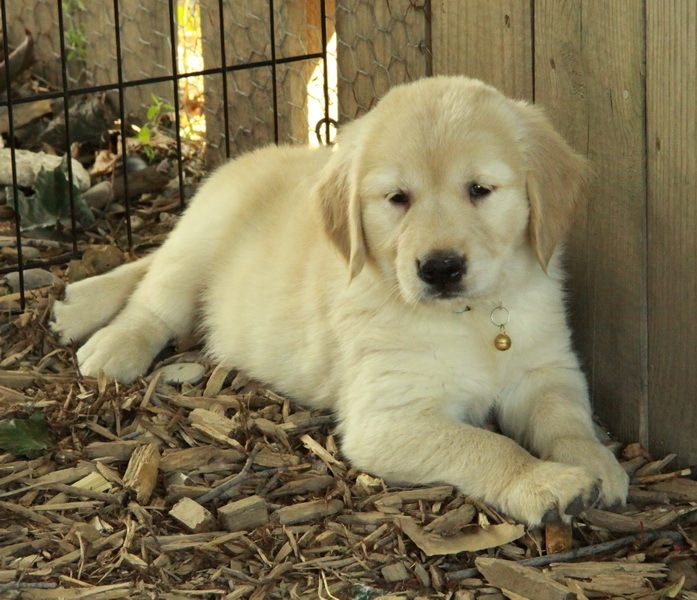 Golden Retriever Puppies For Sale – Always A Great Choice! When you think of the most loyal, intelligent, family friendly dog available, golden retriever puppies for sale is likely at the top of your list. Extremely gentle and overall amazing dogs, golden retrievers make excellent pets. They can be used for guide dogs, excel at agility training, and are great for show – but most people just want the smart and obedient dog we all know is typical of golden retriever puppies. We occasionally have Golden Retriever Puppies for sale. 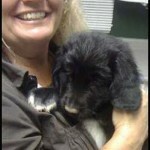 Please join our waiting list for updates on available litters! If we don’t have any Golden Retriever Puppies for sale at the moment you can join our Waiting List! What Makes Golden Retriever Puppies For Sale So Amazing? 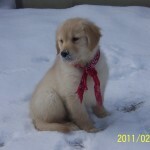 Golden retriever puppies for sale are known for their easy and gentle nature and how quickly they can be trained. They are gentle with children and animals, and are not known for nipping or biting. 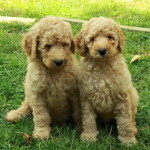 Golden Retriever puppies for sale can be trained for assistance dogs, use their noses to sniff out trouble, and have been known to protect their own family in certain situations, though not typically as a guard dog. They are usually 60-80lbs full grown and can suit nearly any household (with the exception of those with severe dog allergies). They also love the water and retrieval games and can swim and play for hours on end. We have heard from multiple people over the years how their children have learned to walk alongside a golden retriever for guidance, or how a golden retriever has kept their child out of trouble. They are always such intelligent and gentle souls who make excellent pets with proper training. Golden retriever puppies for sale do require direction as they grow to show them what is to be expected of them as they are incredibly intelligent. 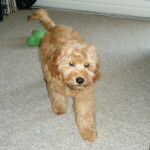 They usually mature past the puppy stage around 1.5 years of age and can be quite playful up until that time. 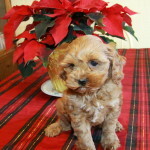 What Can Be Expected Of Golden Retriever Puppies For Sale? Golden retrievers come in two main types: English and American. The English Golden Retriever Puppy has a wider, thicker and blockier head, shorter legs, deeper chest, and shorter tail. Generally they are also somewhat heavier than the American golden retriever puppy. The English Golden Retiever type also has rounder and darker eyes than the American counterpart. American types have more triangular and slanted eyes. Both types however should mature 20-22 inches high at the withers for females and 22-24 inches at the withers for males. The American Golden Retriever is longer and lankier in appearance than its counterpart. 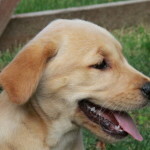 Golden retriever puppies for sale are known for their thick coats that are dense and water repellent. This is great for those that love to swim and can just shake off most of the water. Colours can vary for both the English golden retriever and American golden retriever from almost white to a deep red or mahogany colour. 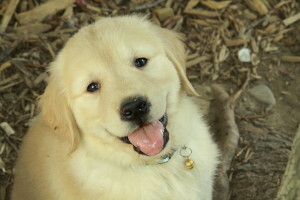 Golden retriever puppies should be kind, confident, trusting and friendly dogs. 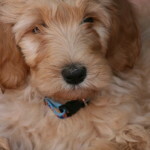 They should be well socialized from an early age and never leave their littermates before 8 weeks of age minimum. This is a highly important time for them to learn proper behaviours and prevent unacceptable behaviours at a later age. Also, no puppy should ever be re-homed without the first vaccination given, proper deworming and a thorough vet check by a licensed veterinarian. 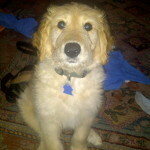 Golden retriever puppies for sale will need to be groomed regularly. 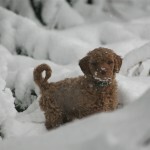 Giving their coat a daily brush will help keep the shedding under more control and keep their coat at its best, as well as be a cherished bonding time for the dog and owner. The eyes of a golden retriever should also be cleaned weekly. Golden retriever puppies generally have an 11-13 year life expectancy. It is a good idea when buying golden retriever puppies for sale to look into pet insurance and start at an early age, as is recommended for all purebred dogs. 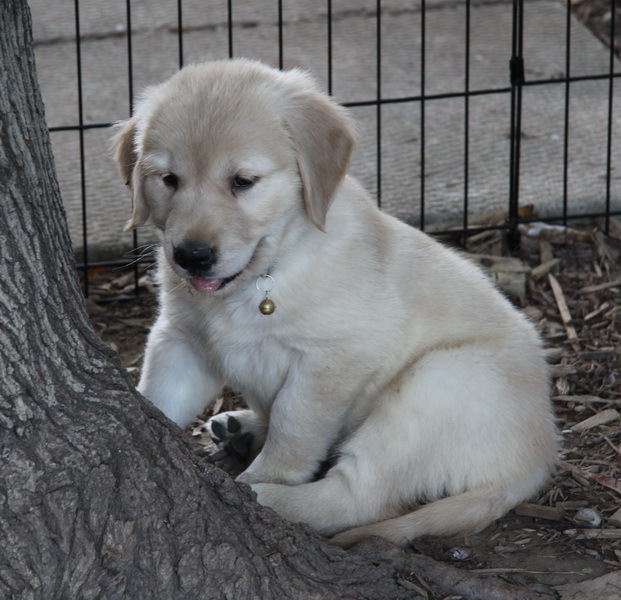 Golden retriever puppies can come across several different problems throughout their life time, most commonly hip dysplasia. Cancer has been known to affect the breed at later stages in life, as well as cataracts, joint problems or skin allergies. Proper care of your golden retriever from a young age and regular vet visits will help prevent, detect and care for possible problems. Proper feeding, exercise, socialization, routine vaccinations, flea protection, stool samples, dewormings, and checkups cannot be emphasized enough when caring for your golden retriever puppy! 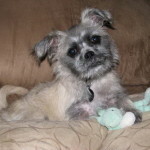 Deciding to add any puppy to your family is a huge decision that should not be taken lightly. Much consideration should be put into the ideal breed, size of dog, energy level, cost etc that will go along with the choice. The average life expectancy of a golden retriever being over 10 years means it is a long commitment of a living being and should be thought of carefully. 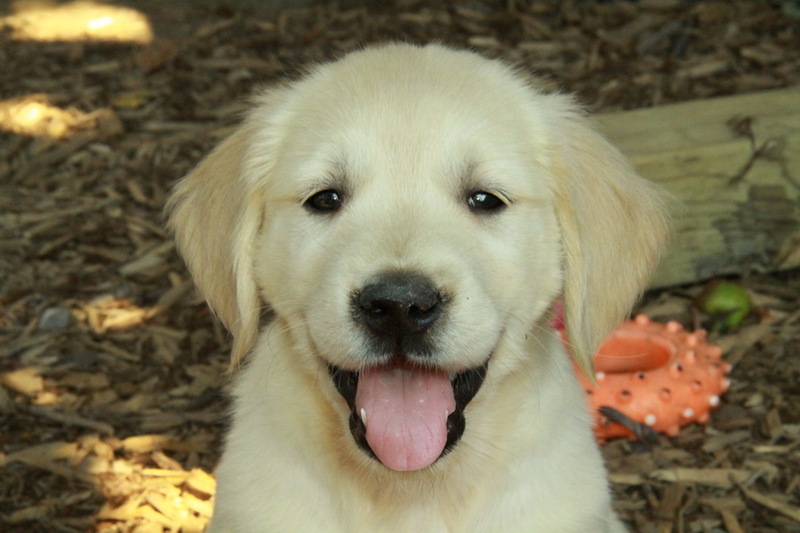 All criteria should be considered before going to visit potential puppies, because once you see golden retriever puppies for sale, you will be hooked for life!